Click on the photo or here to open full information on the Electric/Hybrid cars avaialble on the Scheme, now starting from Nil Advance Payment for the excellent Hyundai Ioniq. 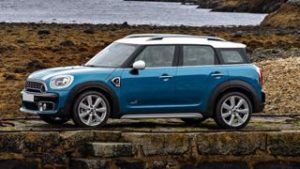 The excellent 1.5 litre petrol Countryman has been reduced by £400, now Nil Advance Payment for the manual and £499 for the Automatic. The 134bhp (220Nm of torque) on offer can propel the Mini to 62 miles per hour in 9.6 seconds and return a claimed 51.4 miles per gallon. 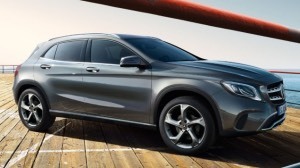 The new GLA is due in 2019 and as a passing shot Mercedes have been through the parts bin and cobbled together the GLA180 Urban Edition, and it is superb value. Powered by the 1.6 litre 120 bhp petrol engine from the B-Class the 0-62 time of 9 seconds time is excellent and the option of a 6 speed manual or 7 speed Auto make for comfortable progress, it’s not quick and if you push it the claimed mpg of 51.4 will quickly head towards the low 30’s. You do get 18 inch alloy wheels, roof rails, front fog lights, LED head and tail lights, privacy glass, auto wipers, off road comfort suspension (raised by 30mm), keyless go, air conditioning, reversing camera, fake leather seats, cruise control, driving mode selector, electrically adjustable and heated mirrors, twin chrome exhaust and an eight inch media display with Apple Carplay and Android auto. 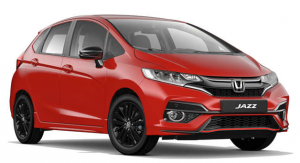 The Honda Jazz is a wonderful machine, built like a Swiss watch and offering space you would not think possible given its external dimensions. Two petrol engines, a 1.3 not turbo offering 101 bhp and a 1.5 (only in sport trim) with 128 bhp giving the Jazz an unexpected turn of pace, 0-62 in 8.7 seconds. Both come as a six speed manual or (well behaved) CVT automatic gearbox. EX trim has 16 inch alloys, a rear view camera, climate control and a 7 inch touchscreen with Apple carplay. Sport cars have 16 inch black alloy wheels, LED headlights and more athletic bumpers with a red stripe front and rear. The 1.5 litre petrol engine is helped along by a small electric motor operating in tandem for normal driving, no charging required the battery stores power from braking and when the engine is running. When traveling under 18 miles per hour the Yaris can run on battery power alone, using no petrol or producing any exhaust fumes. The Yaris offers a claimed 80.7 miles per gallon on a combined cycle but around town this car can reach over 90 miles per gallon. 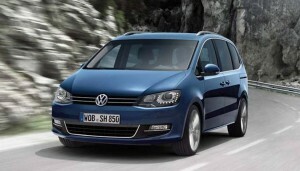 The Golf SV, the SV stands for Sports Van, could be the perfect all rounder. It is as good to drive as the hatchback with the boot space of the estate (up to 590 litres). The SE trim has an 8 inch colour touchscreen with Apple Carplay, adaptive cruise control, parking sensors front and rear, 16 inch alloy wheels, emergency braking, electrically foldable door mirrors and automatic headlights with LED daytime running lights. The 1.5 litre petrol with 130 bhp paired to a six speed manual or 7 speed dual clutch Automatic can return a claimed 55.4 miles per gallon yet still reach 62 miles per hour in 9.6 seconds. The Ateca is the sister car to the VW Tiguan and Skoda Karoq, the Seat is a little smaller (boot is 510 litres compared to 615 in the VW with the seats slid forward) but as is the way with Seat cars is a a little more sporty by design. The SE Tech is the trim of choice as the touchscreen is 8 inches in size and includes a sat nav. 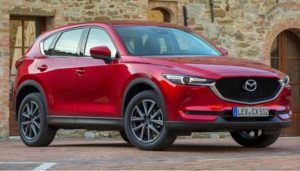 The 1.6 113bhp diesel engine is shared with the Karoq and is more than adequate, 62 mph can be reached in 11.5 seconds and claimed economy is up to 65.7 mpg. 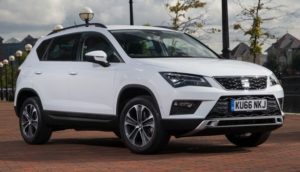 If you are after a manual diesel SUV, the Ateca is an excellent choice, the auto version starts at £499 advance payment if you step down to the SE trim. 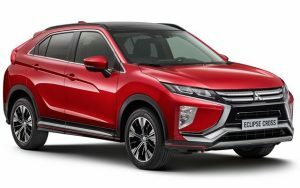 The Eclipse Cross is a five-seater SUV, the rear seats can slide back and forth to change between extra legroom and more boot space, with the seats all the way back there’s 341 litres of space, but slide them forward all the way and it opens up to 448 litres. 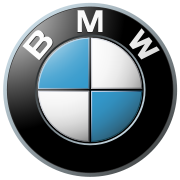 All cars have a seven-inch touchscreen display (Apple Carplay and Android Auto compatible) that sits on top of the dash like in a BMW. ‘2’ trim also includes a rearview camera, keyless entry, automatic lights, auto high beam, auto wipers, cruise control, 16 inch alloy wheels, cruise control and privacy glass. ‘3’ brings a heads-up display, front & rear parking sensors, 18 inch alloy wheels, heated front seats, electric, heated & folding mirrors and keyless operation. The sole engine presently is a 1.5-litre turbocharged petrol engine with 161bhp and 250Nm of torque. It’s refined and smooth, 0-62mph takes 9.8 seconds in the CVT model, and 10.3 in the manual. Fuel economy is a little disappointing, 42.8mpg as a front wheel drive with a manual gearbox. 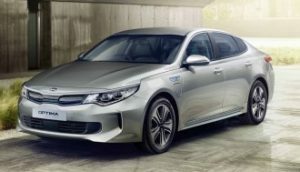 The Ioniq draws its power from a 1.6 litre 103bhp petrol engine alongside a 43bhp electric motor, the two power units work in tandem, the electric motor will start the car off and will be joined by the petrol when required, you can drive solely on electric power for only very short distances before the batteries go flat, these are charged by both the petrol engine running and by regenerative powers like braking, there is no ‘Plug’ to charge the batteries. 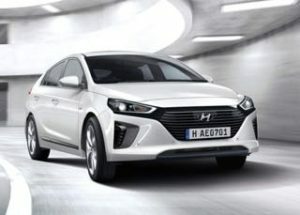 The IONIQ can return a claimed 83.1 miles per gallon for urban driving, compared to a Hyundai i30 1.6 petrol car that returns a claimed 34 mpg around town. 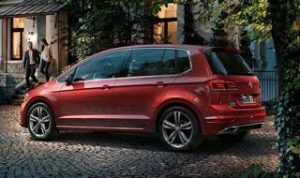 The Volkswagen Sharan is a large MPV with seven individual seats for adults, and is able to offer 300 litres of luggage space with all seven seats in use. SE models have 16″ alloys wheels (though we would like to see 17″ wheels on a car this size) cruise control, chrome window surrounds, roof rails, 3 zone climate control, under seat storage, leather trimmed multifunction steering wheel, a small in dash multi function computer, automatic lights and parking sensors for the rear and front. All models now come with a 6.5″ touchscreen media system that can stream media from your mobile phone and Apple Carplay. The pick of the engines is the two litre 150 brake horse power diesel, which as a six speed manual or DSG automatic offers an excellent combination of power and economy, 9.9 seconds from standstill to 62 miles per hour and a top speed of 120 miles per hour. Official economy figures suggest 57 miles per gallon but you can get mid 40’s if you are very careful. 474 cars removed, 214 diesel. The all electric Smart EQ Fortwo and ForFour joins the Scheme- Hoorah. From only £149 Advance Payment or £299 as ForFour, limited range and slow charging may be a barrier to many. Manufacturer claimed 96 mile range and recharging from 10-80% takes 3.5 hours at a wallbox and six hours at a domestic wall socket, opt for the extra of the smart charger and this can be decreased. Hey ho, it’s a start, more electric car choice is called for. Click here or on logo to open new price list. Many cars only avaialble from stock. 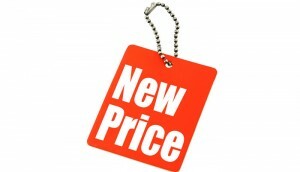 Click here or on logo to open the Car price Guide, a magazine containing a collection of new quarter prices. The new Motability prices will be published on Monday 1st October 2018. Quarter 4 (Autumn) prices run from 1st October through to December 31st 2018. 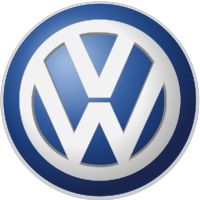 We will update you on all the new vehicles, price adjustments and best new offers on this page as they come to us. Every movement up or down on the previous price can be tracked with our little arrows. means the price has increased (if you place your mouse on the arrow you can see by how much the price has increased) and if the price has decreased you will see a green arrow or if there is no change in price the arrows are side by side . We will continue to post the War Pension (WPMS) prices alongside the DLA/PIP/AFIP prices. WPMS weekly payments are £66.75 compared to £59.75 for DLA/PIP/AFIP. Advance Payments for WPMS are around £1000 less than those of DLA/PIP/AFIP. Even with this additional award there are no extra vehicles available to War Pensioners. The future of Diesel powered cars. There used to be two options of engine, diesel made up the lions share of sales and petrol power was all but being eradicated from the range, following the news that diesel engines, while producing less CO2, were producing worrying levels of nitrogen oxides there has been a change in direction from manufacturers, Toyota, Nissan and Volvo have all stated that all new models will not include a diesel offering in their range. 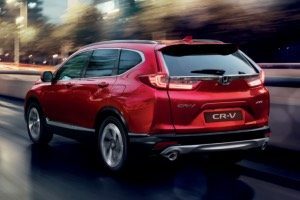 We are seeing new cars released only offering petrol engines and not cars you would expect, the new Honda CR-V and Mitsubishi Outlander are big heavy cars that would suit the extra torque provided from a diesel engine, but both have been released without a diesel option, instead offering a petrol only or a petrol hybrid, the Honda will add a hybrid to their range in 2019 though it will not be a plug in as in the case of the Outlander. This is a trend that will continue, diesel power is on the wane and even though many new engines are already Euro 6d-temp compliant, engines so clean the Germans will allow them into their cities, the writing is on the wall for diesel. The new Citroen Berlingo retains the styling of the old car but the Peugeot 5008 shared platform increases the length and width but the roofline is a little lower than the old car, meaning there is even more room for up to five (you are not aware of the decrease in height) the boot has increased by 100 litres to a whopping 775 litres, still with no load lip. The ‘M’ Berlingo will be joined by an XL car in 2019 that is 35cm longer and will offer seven seats. Two trim lines, Feel and Flair, all cars have an 8 inch touchscreen with Apple Carplay / Android Auto, active lane keep, active safety braking, automatic lights and windscreen wipers, height adjustable driver seat and manual air conditioning, Flair models add rear electric windows (worth the upgrade alone), rear parkings sensors, three individual rear seats, electric parking brake, sat nav, alloy wheels and LED daytime running lights. Two engines, a six speed manual 1.2 litre petrol with 108 bhp that returns a claimed 51.4 mpg and a 1.5 litre diesel available as a manual with 100bhp or a manual or 8 speed full automatic with 127 bhp, all claim over 65 miles per gallon. Prices range from £195 Advance Payment for the small diesel up to £895 for the Auto 127bhp car in flair trim. 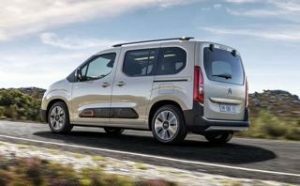 *The Berlingo is the sister car to the new Peugeot Rifter and following the purchase of Vauxhall/Opel by the PSA group, the Vauxhall Combo Life. All are on the Scheme and the Vauxhall in XL variant with 7 seats. 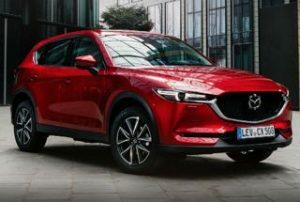 The smooth looking 2019 CX-5 is with us powered by a turboless 2.0 litre petrol. Two trim lines: SE-L+ has 17 inch alloy wheels, cruise control, parking sensors, climate control and a 7 inch touchscreen with sat nav. Sport+ trim adds 19 inch alloys, reversing camera, power tailgate, heated power leather seats and heated steering wheel. 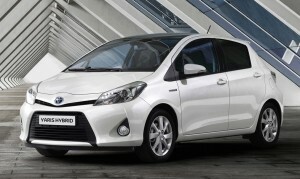 The 2.0 litre petrol is front wheel drive six speed manual or Auto gearbox, 163 bhp (0-62 in 10.4 seconds and 44.1 mpg). Prices start at a very competitive £649 Advance Payment. Note. 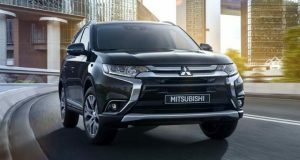 The Diesel Outlander has been discontinued, the cars listed on the Scheme are only stock vehicles and not Model Year 19. The Ateca is the sister car to the VW Tiguan and Skoda Karoq, the Seat is a little smaller (boot is 510 litres compared to 615 in the VW with the seats slid forward) but as is the way with Seat cars is a a little more sporty by design. The SE Tech is the trim of choice as the touchscreen is 8 inches in size and includes a sat nav built in. The 1.6 113bhp diesel engine is shared with the Karoq and is more than adequate, 62 mph can be reached in 11.5 seconds and claimed economy is up to 65.7 mpg. If you are after a manual diesel SUV, the Ateca is an excellent choice, the auto version starts at £499 advance payment if you step down to the SE trim or £699 AP in SE Tech. Nissan Leaf – Not Again! Nissan had promised us the Leaf would be joining for Q4, this is not the case it seems. We are not sure what is holding up the arrival of a full electric car to the Scheme; charging infrastructure, home charging points, range anxiety, developments in battery technology, uncertain residual values or a combination of all these. 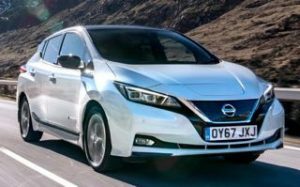 We do know that Nissan are bringing out an upgraded Leaf next year with larger batteries and as a result is hardly promoting this version. The only other realistic electric car available to join the Scheme, the Renault Zoe, is also not making an appearance. Initial release is a 1.5 litre petrol with 170bhp as a six-speed manual and 190bhp as an Auto. The manual is available with either front-wheel or four-wheel drive, but the Auto is all wheel drive only. The Auto is a CVT, but we have it on good authority that it is a good as a twin clutch auto with no lag and high revs scuppering the enjoyment and you feel it changing from gear to gear, it has seven (fake) gears. 2019 will bring a hybrid (not a plug in Hybrid) version. There is to be no diesel. The option is for the new CR-V to have two extra (child only) seats in the third row (SE trim and above). 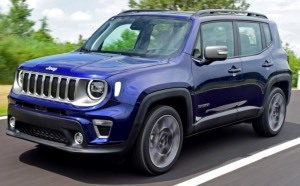 The upgraded Jeep Renegade will be joining for Q4, the refreshed car sports very subtle design updates – new LED headlights and tail lights plus new wheels and slightly altered front bumpers on Limited cars. The big news is the new engines, Two new turbocharged all-aluminium petrol engines have been developed by Fiat: an entry-level 118bhp 1.0-litre petrol replaces the gutless 108bhp 1.6 and a new 1.3 (available in both 148bhp and 169bhp configurations) replaces the 138bhp 1.4. Jeep/Fiat have finally upgraded their in car Tech and apart from the entry Sport trim the Renegade gets an excellent 8.4 inch touchscreen. The Fabia has received its mid live pep up. All cars will now be powered by a 1.0-litre petrol engine in three different power outputs – 75PS, 95PS and 110PS – with the 110PS coming with the option of seven-speed DSG transmission. Every version of the new car will come with LED daytime running lights as standard along with Front Assist and a Multifunction trip computer.